A study conducted by the US National Cancer Institute confirms that the likelihood of developing a second cancer after radiation therapy is very low. The long-term study of about 600,000 cancer survivors showed that only 8 per cent of that population developed secondary cancer due to radiation therapy. The researchers said that among many others, lifestyle and genetic risks are the ones that would likely pre-empt a second cancer. Amy Berrington de Gonzales, lead researcher, said that the result of the study is a very powerful tool physicians may use to device a treatment plan for their patients. 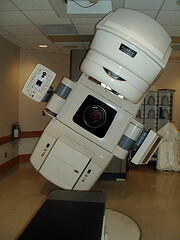 She further said that patients can now be assured that the benefits of undergoing radiation therapy outweigh its risks. This is the first ever study that was able to quantify the risks that radiation treatment may cause. It was published 30th of March online on The Lancet Oncology. The research was conducted for 30 years on many different kinds of cancer. Among them are prostate, breast, brain, cervical, and lung cancer. Researchers noticed that development of lung cancer also vary from one cancer type to another. For example, they noticed that it is more predominant among breast and cervical cancer patients. Elizabeth Ward acknowledges the fact that radiation therapy post risks towards cancer patients. However, she is firm on saying that the benefits outweigh the risks. She also said that thanks to recent technology, we are now more successful on preserving healthy cells during radiation therapy.